A short while ago we extended our BuddyBeacon location-tracking webpages to make it simpler to create pages that automatically access "groups" of BuddyBeacons - handy if you want to watch a group of friends or you are search coordinator for a SAR team. 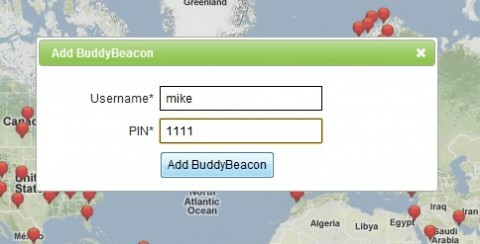 From the ViewRanger BuddyBeacon webpage, you can now store a set of BuddyBeacons as part of your My.ViewRanger account. 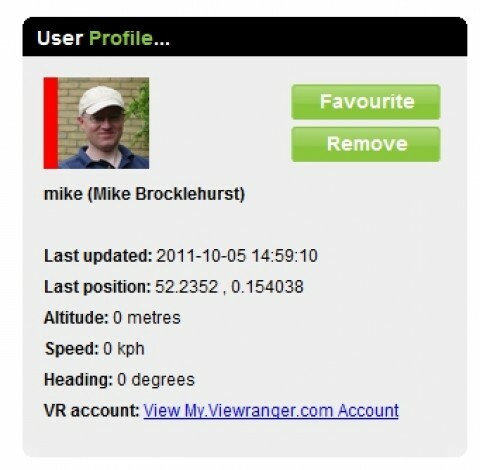 If you are logged in to your My.ViewRanger account, go to www.viewranger.com/buddybeacon and use the "Add BuddyBeacon" button to add the people you want to track (you'll need their Beacon name and their PIN code). Then select the name, and in the panel to the bottom left of the map (next to the altitude/speed graph) click "Favourite". This will remember that BuddyBeacon as part of your online account. You can "favourite" as many BuddyBeacons as you need to. 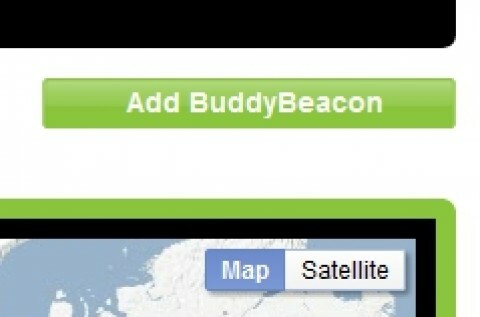 Now, when you go to www.viewranger.com/buddybeacon whilst logged in to My.ViewRanger - you'll automatically see your favourite BuddyBeacons displayed. You can control the dates that are shown for the Buddies and tracks using the "From" and "To" fields.